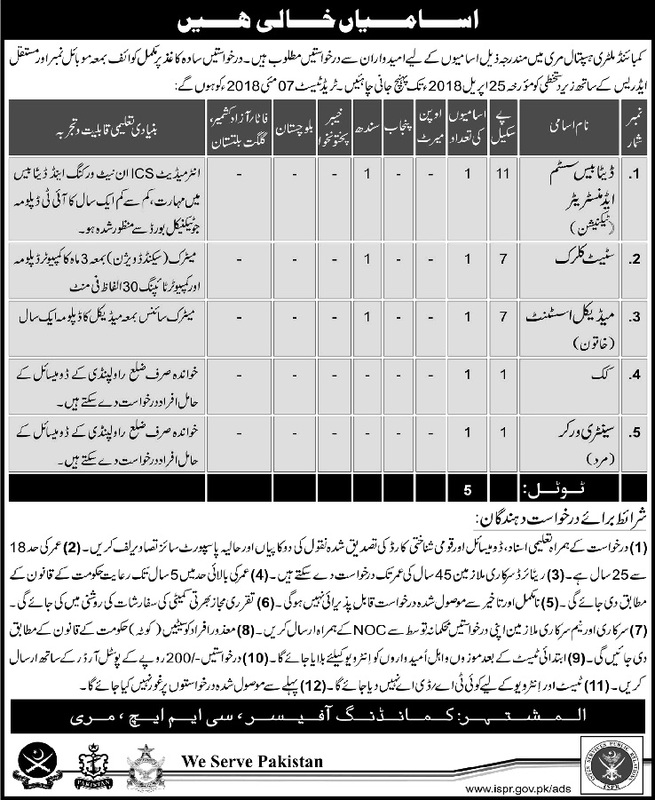 Combined Military Hospital Murree has announced 05 New Jobs in Daily Ausaf Newspaper dated 10/03/2018. Candidates Meeting the Above Criteria may apply for Military Hospital Jobs 2018 against Database System Administrator, State Clerk, Medical Assistant, Cook and Sanitary Worker. Attach Attested Photocopies of All Education Certificates, Experience Certificates, Domicile, CNIC, and Latest Photographs with application form. Government or Semi Government Employees may apply through proper channel.